EYOS Expeditions is pleased to announce that Kelvin Murray, FRGS, has joined EYOS Expeditions as its Director of Expedition Operations. In his new role, Kelvin will be managing the day to day planning and operations of the expeditions and ensure focused, bespoke service for every client. With an extensive background in polar diving and marine research, he will also help develop new science initiatives within EYOS. During his career, Kelvin has explored, dived and guided on every continent and ocean. His clients have included expedition companies and scientific researchers, wildlife charities, National Geographic photographers and the BBC Natural History Unit and he has worked on a variety of vessels from sailing yachts and schooners to Ice Class 1A Super expedition ships. Over-wintering with the British Antarctic Survey, he managed the UK scientific diving program throughout the extreme environment of the Antarctic winter. Kelvin has led exploratory diving expeditions throughout Svalbard, to the world’s largest fjord system in East Greenland and the Antarctic wildlife paradise of South Georgia. 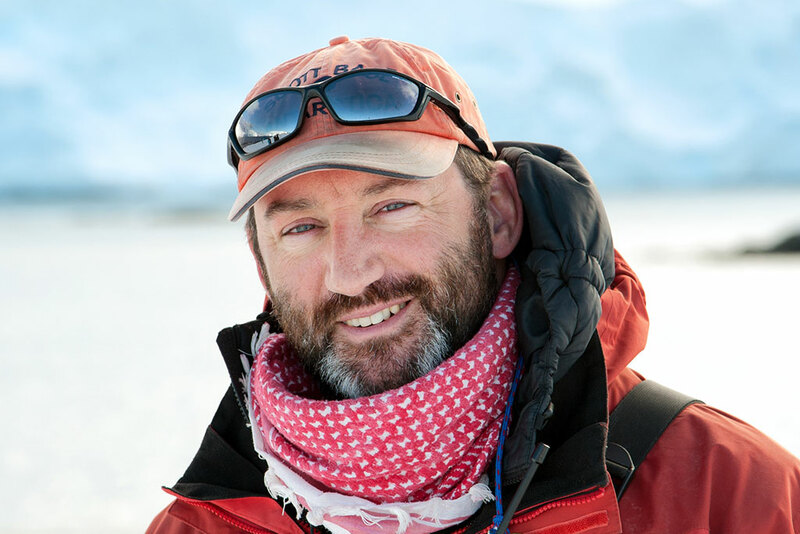 As Expedition Leader, Kelvin has led numerous logistically complex trips involving diving, mountaineering, kayaking, camping, hiking, photography, filmmaking, endurance racing and helicopter operations. Whether hiking with reindeer, watching killer whales, lecturing on walrus or lounging with penguins, his enthusiasm for nature in all its forms is infectious. Kelvin is a specialist in marine mammals including polar bears, with which he has had some memorable encounters. Previously, Kelvin was Education Officer for the Whale and Dolphin Conservation and has spent twenty years studying these animals. He collaborates with Dr. Sylvia Earle’s SEAlliance Foundation to contribute images to the Ocean layer of Google Earth in a drive to secure Marine Protected Areas worldwide. A former Survival & Marine Instructor with personal knowledge of extreme environments, plus extensive educational and outreach experience, Kelvin now acts as Special Consultant to Blue Abyss. This project is creating the world’s largest and deepest research, training and development pool, with a particular interests in ocean research, human spaceflight and space exploration.